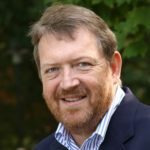 Moving to the Cloud – What’s the Issue? Migrating communications applications to the cloud is much more than a technical challenge for service providers and enterprises. The challenge of the cloud is fundamentally based on a significant shift in business model. In the past, Gateways and SBCs have been sold as network appliances. Sold using a CAPEX model + maintenance business model that burdens the service provider with a significant up-front expenditure, irrespective of the anticipated customer traffic or usage. Meanwhile, cloud and web applications have long since adopted a completely different business model, basing the cost of software on the actual usage (aka “consumption pricing”). Usage-based pricing allows new services to be created and launched with little up-front costs, allowing for the development of a user/subscriber community while the underlying infrastructure grows to meet the demand. “Pay as you grow” is the norm with web applications. For communications applications to meet the needs of a new generation, the software and infrastructure needed to implement the new services will have to adopt a “pay as you grow” business model too. While some of the legacy network equipment providers (NEPs) have made noise about offering subscription pricing for their software, few (if any) have truly taken the plunge to offering real consumption based pricing on public cloud offerings. So, what’s the issue? Revenue Deferral – the nature of “pay as you grow” is a benefit to the service provider, but a real and significant hurdle for the NEP. Instead of getting paid the bulk of the cost at the beginning, service providers can postpone paying for network functions until they are used. This can significantly disrupt revenue streams for the NEPs and their sales teams that depend on large up-front payments to meet quota and revenue targets. It’s just easier to keep selling the old way. How do we disrupt the status-quo? This is the motivation behind the bold move made by TelcoBridges this last fall to offer their session border controller software to the market at no cost. Offered under the brand FreeSBC, the company sees their session border controller as a means to accelerate new applications and ideas. 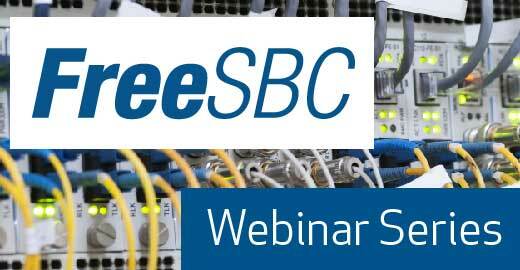 The FreeSBC session border controller is a cloud-ready software package that can provide essential security, interoperability and traffic management features. All the basics are there. By offering optional paid support and enhanced features, TelcoBridges can monetize large-scale and commercial deployments. TelcoBridges also extends the capabilities with TB Analytics traffic analysis and diagnostic tools that are needed as the subscriber usage grows. With this strategy, FreeSBC meets the needs of the “pay as you grow” business model that is coveted by emerging applications. With well over 2,000,000 FreeSBC session licenses issued in the last few months, TelcoBridges must be on to something.